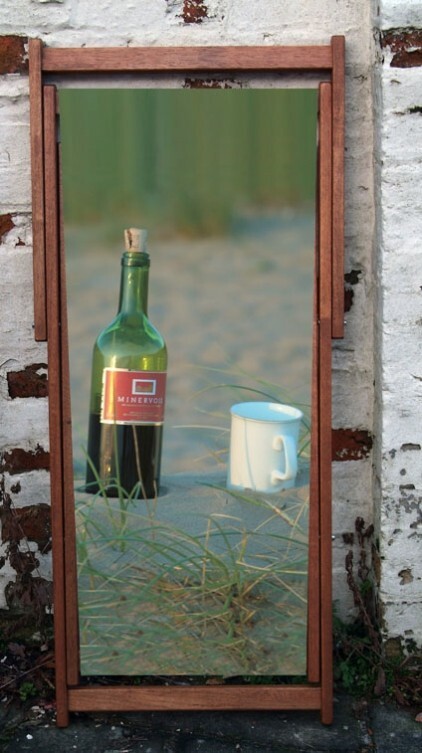 I really like this wine bottle deckchair from Bouf. It's pretty, and it means I can sit in the garden/on the beach on sunny days with a glass of wine in my hand AND a picture of said wine under my bum. That's wine-lover dedication right there. I do have one issue with this otherwise faultless totally-on-my-wishlist product. Despite the fact it's just a deckchair with a picture of wine on it, it's £125. £125! I could buy a whole case of decent wine at that price (or at least two average, wine-free deckchairs). And if I had a whole case of wine on the beach, I think any deckchair would have proved somewhat redundant anyway, as I'd probably be lying face down in the sand instead, singing sea shanties at the top of my lungs and occasionally shouting at passing seagulls. That said, it is a VERY lovely deckchair. And it's promised to be very hardwearing, with the wooden frame treated to protect it against the elements - that's bound to come in handy bearing in mind the usually changeable state of the Great British Summer. So one question remains... who's going to buy me one? Pretty please?